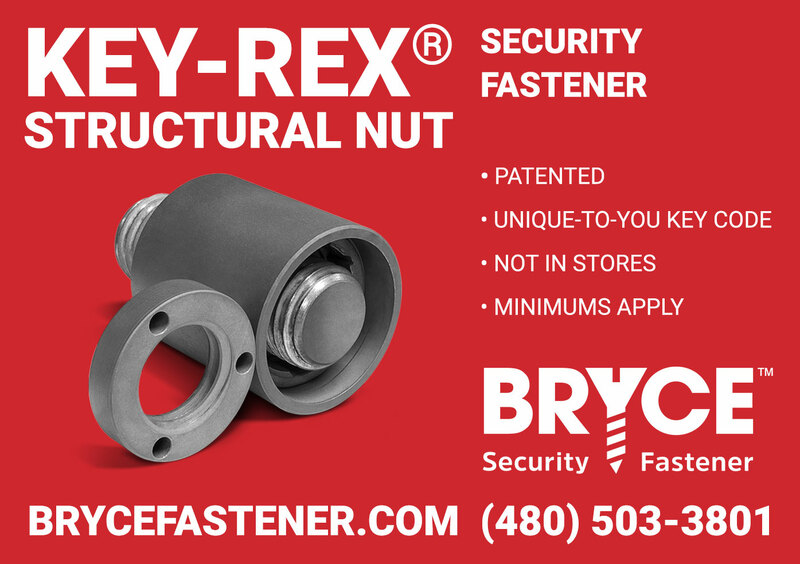 Engineered from scratch, the Key-Rex® Structural Nut has numerous features to frustrate even the most determined thieves. Initially they'll see the security cap, which is torqued to 200 ft-lb, featuring a shallow, asymmetrical tri-pin pattern. The fully-rotating shroud gives them nothing to grip. All that comes before the unique keyway shape inside - literally a lock within a lock. And the inner lock has 131 billion keyway variations. This theft-proof security fastener is manufactured to your exact specifications (including bolt size), and coated to suit your application.